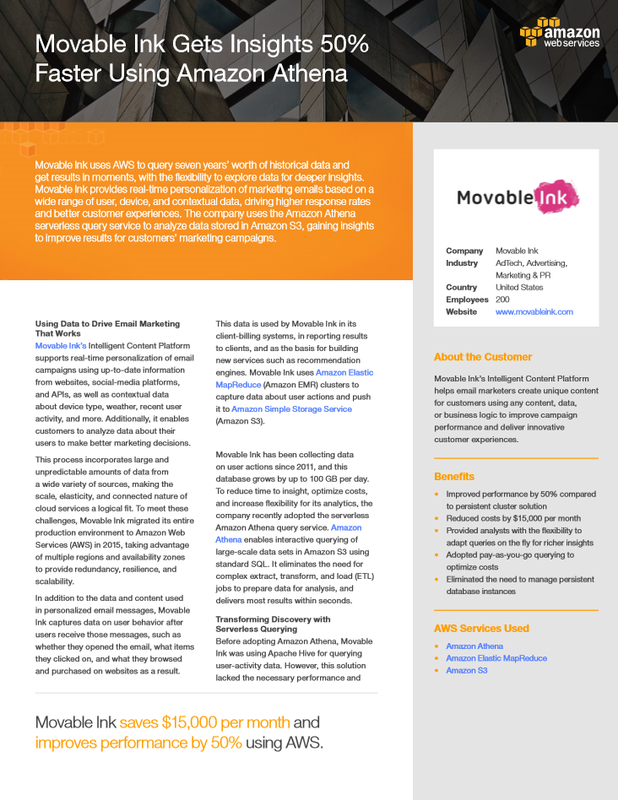 Movable Ink uses AWS to query seven years’ worth of historical data and get results in moments, with the flexibility to explore data for deeper insights. Movable Ink provides real-time personalization of marketing emails based on a wide range of user, device, and contextual data, driving higher response rates and better customer experiences. The company uses the Amazon Athena serverless query service to analyze data stored in Amazon S3, gaining insights to improve results for customers’ marketing campaigns. Read the full story.